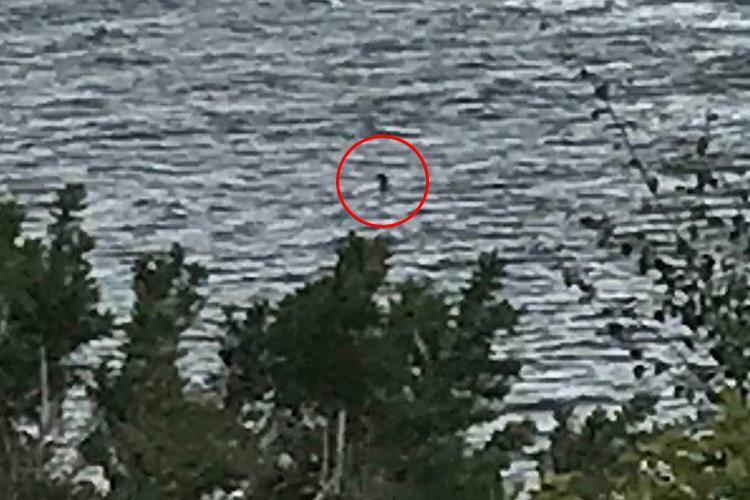 LOCH NESS MONSTER: Loch Ness Monster Sighting Last Week? Loch Ness Monster Sighting Last Week? Whilst walking along the woodland behind Dores beach myself and a friend witnessed movement in the water which seemed sizeable, as we walked further away and stood looking down towards the Loch from the woodland path we were shocked to see an angled head come out of the water, nether of us could believe what we saw. It was the wrong shape for a seal, dolphin or otter. I would say the head was dolphin in size .... That's a big eel! I live locally ... and I'm a very practical person, down to earth. I can't explain what I saw. ... For about 7 minutes prior to seeing the shape out of the water we saw movement and what could have been a dolphin or something surfacing but then when there was a long neck I couldn't believe my eyes to be honest. Piqued by these initial statements, I asked for further details as regards the appearance of the creature, but they were too far away to see any detail, it was just a dark but not black shape that came out of the water and submerged again after a few seconds as it "sort of sunk down slowly but moved forward at the same time". I asked for a sketch of what they saw and got the picture you see above. The head came up and then went back under water. It was a very dark grey then I saw like a big snake figure swimming. Definitely not a seal as head was bent over and neck was very long and thin. The second witness' sketch is shown below. There are some differences as witness sketches are never exactly the same but I think this is also down to at what point in the creature's motion they placed their drawings. Now in assessing this report, one may ask if a seal was encountered here? 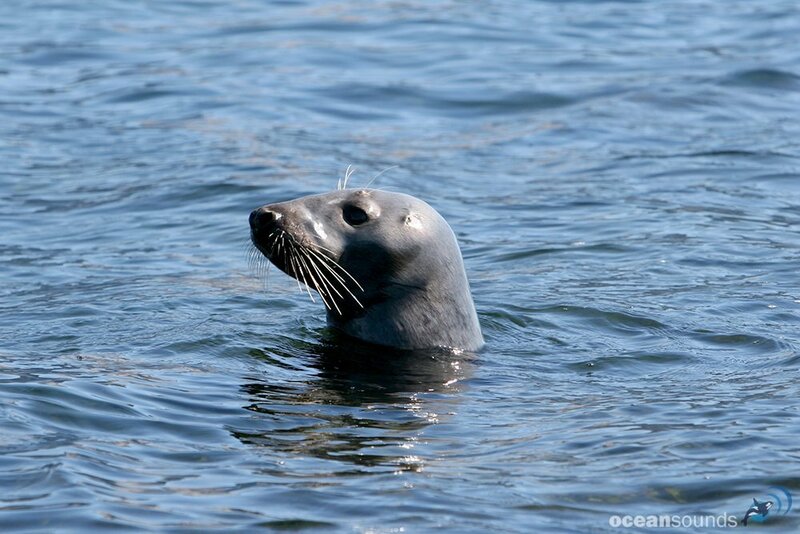 There are two species of seal that occasionally get into Loch Ness and those are the harbor or common seal and the grey seal. Two things that dictate against a seal is the way it moved forward while sinking slowly. This is behaviour that sounds distinctly unseal like. Secondly, the muzzle described looks too elongated for a common seal but there is a question mark over the grey seal. The first picture is of a common seal while the next is of a grey seal. I sent pictures of these two seals to the first witness who thought the gray seal was a possibility. However, the second witness' sketch would appear to exclude seals altogether and especially the form they saw just under the surface. Now if one pursued the seal interpretation further the obvious question to ask is whether anyone has seen seals in the loch recently. I have been asking questions on forums and emailing those who use the waters in that area who may know and the best I have so far is a possible seal seen in Dochfour loch in May about three months ago. What I do not want to do is invoke the seal explanation in a knee jerk manner without some attempt to actually verify if anyone else has seen one. After all, seals are not indigenous to Loch Ness. They are in the loch far less often than they are not and so should not be used as an explanation in such a lazy manner. Having said all this, the witness requests anonymity for the all too common reason that "I haven't told anyone else because I don't want to look stupid." which is a reason I can sympathise with given the way eyewitness reports are treated by people. I would rather let the eyewitness speak for themselves rather than them being told what to believe. So, is this the famous Loch Ness Monster or just a seal? I will keep an eye out for any genuine seal reports but even as I was typing up this report another sighting report just two days later on the Friday was published by the Sun newspaper today with a photograph taken by twelve year old Charlotte Robinson near Invermoriston. That picture is shown below and bears some resemblance to the eyewitness sketches. I am now wondering if she snapped the very same creature our witnesses saw two day before further up the loch? Let us see if further images and reports are forthcoming and I thank the witnesses for coming forward and adding to the mystery of this week. Now isn't this more interesting than fruitless discussions over distant waves? This is an interesting account. I can’t help but see the resemblance of the gray seal compared to the witness’s sketch. 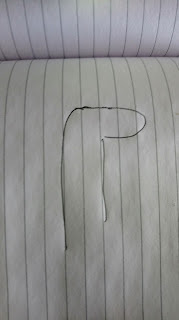 Given, that is a very simple shape and a primitive sketch, but certainly similar. I’m further compelled to believe the seal theory after seeing Ms. Robinson’s picture, which was taken two days later. The object looks rather small to me, and could pass for anything since the picture itself is not a close up. Visuals aside, the narrative is very interesting. I agree it is un seal like. When I read ‘long, slim neck’, ‘dark grey’ in color and ‘moved like a snake’, I think back to the 2006 Lake Champlain Bodette video, which showed something serpent like under the boat. That ‘something’ never came out of the water, but had a head that would look certainly similar if it popped out of the water. I’m not implying they are one in the same, but the similarities are interesting. I’m interested to see where this goes. Two sightings in such a short period of time is exciting stuff! So you think it's a seal? Or not? Make up your mind please. Very interesting. I also note the similarity between the sketches and the child’s photo. Worth noting that seals only occasionally do that elongated neck move, and usually only for a short time before returning to a less ambiguous seal-like configuration. Yet here we have eyewitnesses and a separate photograph seemingly pointing to the same elongated neck and angled head. 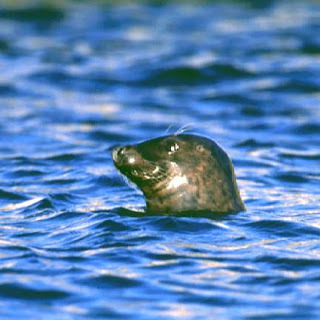 I hope the loch is being closely watched so we can eliminate the presence of a seal. I suppose it’s always being watched and traversed enough in August for us to know pretty quickly if there’s a seal present or not. I doubt I would mistake a seal for a monster, but we are told others do. I am not aware of any verifiable cases of "monster" which turned out to be "seal" but I am prepared to be enlightened on the issue. I believe there was another sighting early august by a lady who descibed it as a brown hump like an upturned boat.3 sightings in a couple of weeks? Great news. I confirmed with Jacobite Cruises that they have no reports of seals along their routes recently which pass that way. So looking less like a seal to me. I used to live near the coast and am familiar with seals. They tend to be around the size of a large dog and pretty round, not elongated. I've never seen one extend it's neck to any degree. The 2nd description and the photo do not resemble a seal in my unexpert opinion. 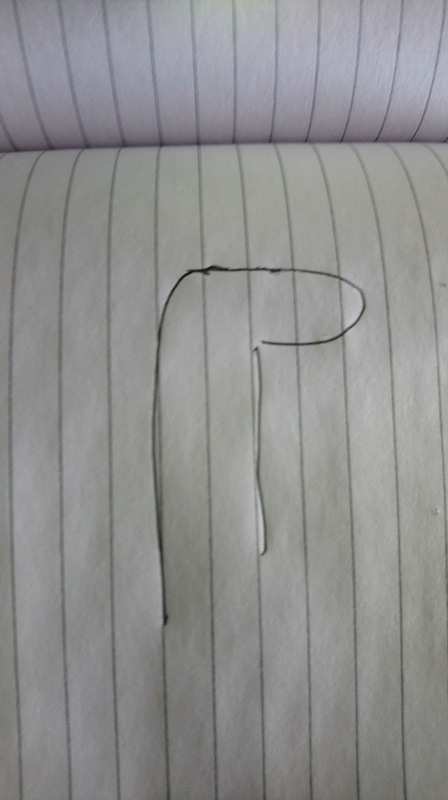 The object in the photo is small. Could the photo be of an otter? I believe our otters in the UK are not huge, but are elongated. A dark appearance is characteristic of something against a reflective background, as per the photo. It's all intriguing, none the less. Yes, I thought the object in the photo looked too big for an otter. Obviously some test shots would help with objects of known size with a similar camera. The first witness didn't draw it, but did state there was a long neck. GB, can you get clarification? Both witnesses submitted sketches as per above. Even Steve Feltham is impressed with the latest photo. I think the photograph should be investigated further, or tests taken for a size. 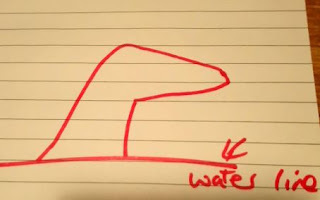 GB, what I meant was that since the first witness said there was a long neck, but for some reason didn't draw it, could you get clarification from him as to how long the neck actually was? 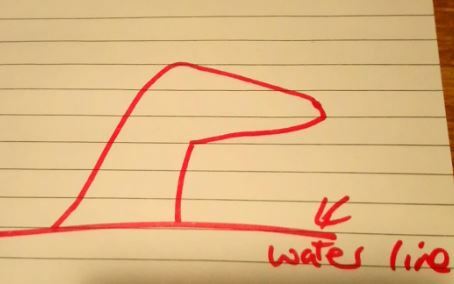 His drawing doesn't depict a particularly long neck. In other words, did he see a classic Nessie long relatively thin neck? As I said in the article, it was a matter of time frame, one witness said it longer, the other saw it less and so in the act of submerging. Having just checked out the Sun newspaper account of the photo I'm going with cormorant. The object in the photo is far too large to be a cormorant. Wrong shape too. Not sure any of us can fairly judge the size of the object in the photo. There's no frame of reference. I would expect a more pointed head for a cormorant. The blurriness of the outline and the distance may be obscuring the pointy beak. The photo is cropped in and pixelated, as per usual unless you're using a super wildlife type camera setup. Hard to judge but doesn't look huge to me. As a colleague used to say when we received work of an indeterminate size - 'bigger than a tea chest, smaller than a skip!'. Ted Holiday's thoughts on the matter seem reasonable, although it depends on the era you catch him and your own personal outlook. A few close up eyewitnesses seemed to suggest constant skin motion, certainly helping the invertebrate argument. I agree. The word 'monster' keeps this issue from being taken seriously. I realise Roland has to use the title to get internet throughput. Unfortunately a bit of a double edged sword. An otter could be a possible explanation. More likely that a seal I'd say. We know they are local to the loch - there's at least 1 pair on Ness Islands. I've seen the Ness Islands otters in the water and they can give the footprint in the water of a larger animal, especially when there's 2 of them moving close together as apparently there often are. They move close to the shore and like the cover of nearby woodland too. So I'm not saying that's what it was, but it's a possible explanation. Also worth noting if it's 40 feet from shore around the Torr Point area (which is where I'm assuming it is, or that general area) then it's in fairly shallow water. Possibly as shallow as a couple of feet. I think we need to establish exactly the spot this was taken.If it is only a couple of feet deep as RP says then we can rule out any loch ness monster. It was I assume at the Loch Ness Lodges outside Invermoriston. Perhaps she was watching to loch from inside or outside the chalet, a google images search showed some line of bushes between the chalets and loch. Sorry guys, I think there's some confusion here. I'm referring to the sighting by the locals at the woodland by Dores Beach, not the young girl's pic. The Dores Beach sighting as I read it suggests the object is around the far end of the beach (taking near end as Dores Inn), where it curves to Torr Point. 40 metres offshore there is relatively shallow water. I've always found this image intriguing, shown at 00:42 But I think it has been debunked as showing three seals in line. Or it could be a fake pic. (Photoshop) Or not. You be the judge. This guy thinks it is the LNM. I'm a big proponent of the LNM being a big mutated eel. Just a layman's opinion untrained as a biologist or naturalist as I am. That image is 100% not Loch Ness, John. It looks more like sea water and you can see sand bars in the foreground and background in the wider version of the image which you won't find at Loch Ness. It was taken by a guy out at Nigg which is a place on the Cromarty Firth where you find seals swimming around in sea water with sand bars. It just doesn't look at all like Loch Ness water. We can take a page from the surgeon's photo analysis and try to determine the size of the object by estimating the wave size. To my eyes the waves do look like waves and not ripples, but someone with personal experience of Loch Ness would have to confirm that. A mystery of equal and parallel import is how Roy can spell "Investigated" correctly but makes a pig's backside of "Enuf". What school did he go to and shud he su ? Roy’s a cool bloke. I don’t mind people spelling in a free form style, as long as I can understand what they’re writing. I always understand Roy. Now John, no need to be bitchy. Roy contributes plenty, in his own unique style. I am sure some local sleuths could try. I may have a go when I am up next month. Two very different drawings. The first one looks like a dog's head - the second like a giraffe. If I reviewed both accounts separately I would say they were different animals. As I've said many times - I will never believe anonymous accounts so it's difficult to take these reports seriously at all. Do you believe them GB? Yes I do and I know their names, so not anonymous.